Chimphu (Wyl. mchims phu) - the mountain above the monastery of Samyé where there are many retreat caves and huts. Even to this day, there are practitioners in long term retreat there. 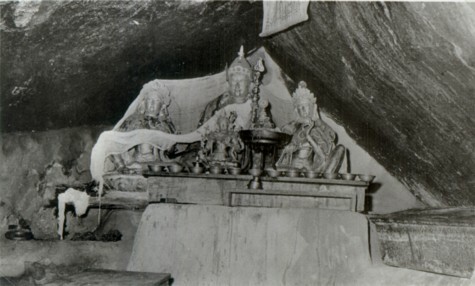 At the time of the founding of the monastery of Samyé, at King Trisong Detsen’s request, Padmasambhava opened the mandala of the Vajrayana teachings in the caves of Chimphu to the twenty-five disciples, headed by King Trisong Detsen, Yeshe Tsogyal and Vairotsana. Nine of the twenty-five attained siddhis through practising the sadhanas he transmitted to them.